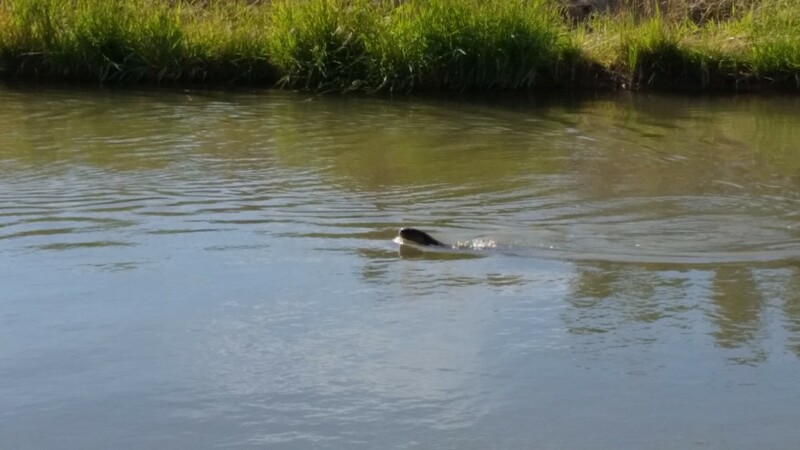 This unusual creature was spotted swimming in the Highline Canal this morning. It’s obviously a lot bigger than a muskrat, but what is it? 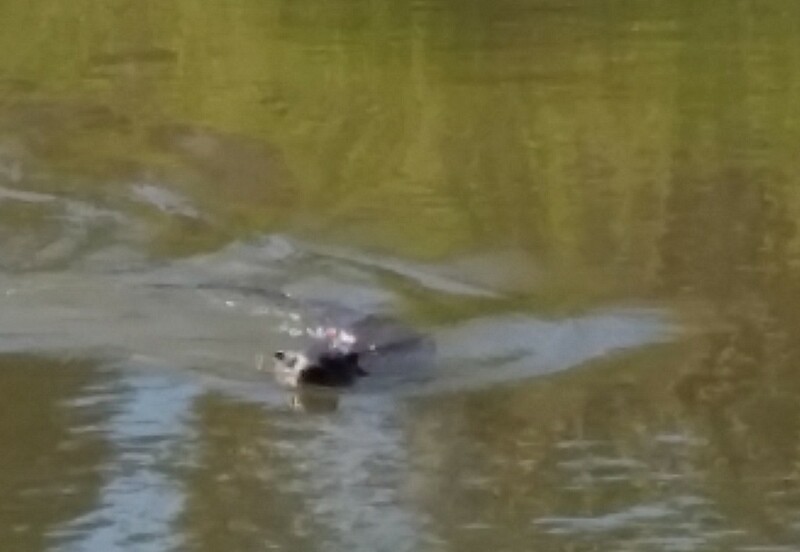 Above is a photo of a very odd creature that was spotted swimming in the Grand Valley Highline Canal this morning. It was much bigger than a muskrat, along the size of a beaver, but did not have a wide tail like a beaver, and didn’t engage in tail-slapping-the-water behavior like beavers do when they are scared. It looked more like a seal. Also, this creature did not get scared. Instead, it seemed curious, even following people on the canal banks and poking its head far up out of the water at times to get a better look at them. It was a remarkably powerful swimmer, too, easily swimming upstream against the current in order to keep up with people walking that direction. The creature even appeared to get more curious if people made noises or gestures, too. In my opinion, it looked and acted a lot like a river otter. But if it was, what was a river otter doing in the canals? 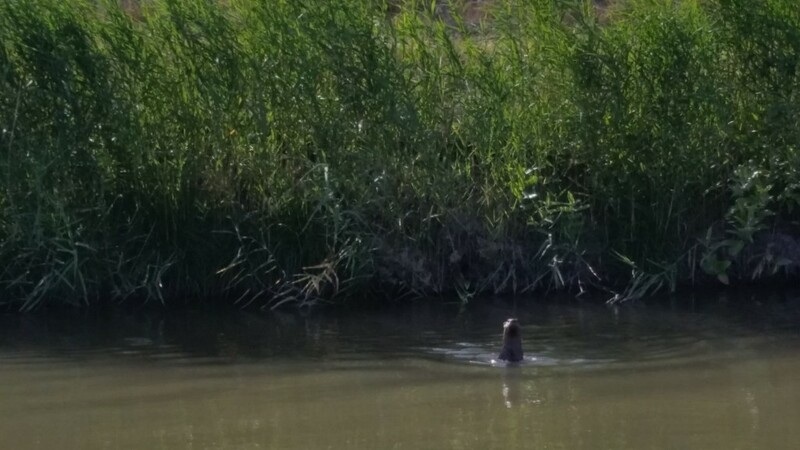 Have otters ever been seen in the Grand Valley canals before? Here are a couple more pictures, for a better look. Can anyone tell what it is?